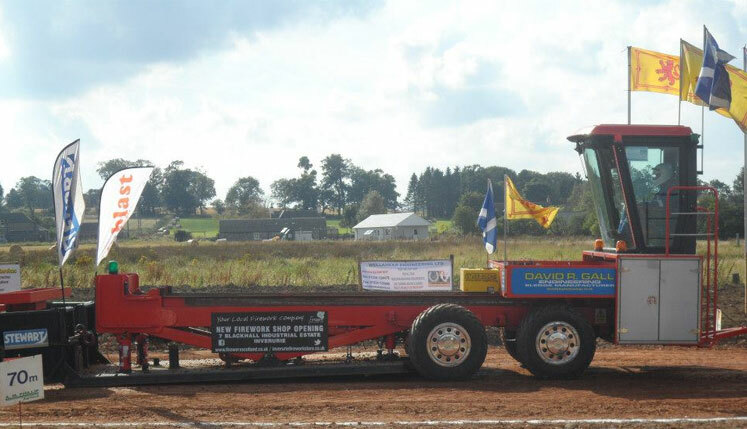 The Eliminator is a fully licensed Bronze ETPC Tractor Pulling Sledge. It is the only licensed sledge in the United Kingdom. Built over the winters of 2011 and 2012, the sledge uses state of the art safety features, including computer box monitoring system. The Eliminator was constructed in such a way to be very light and easy to get away from the start line, but with the ability to stop even the very best of tractors! Todays tractor pulling sledge has advanced a long way from the sports beginning, the Eliminator operator even has the comfort of an air conditioned cab where he can keep an eye on proceedings. The sledge can be adjusted in a number of ways. Weight can be added or removed from the weight box, the speed in which the box travels down the chassis can be adjusted by changing the box drive gear, plus with hydraulic rams the pan 'drop' and push down position can be altered. This enables the sledge operating team the ability to sledge tractors from 100hp all the way up to 5000hp!